Transforms progressive video (e.g. HDp25 frames/sec) into spatio-temporal interlaced video (e.g. SDi50 fields/sec). It achieves this by estimating the fields that would have been shot (had the original video itself been shot as interlaced) between each frame of the progressive video, via a process of motion estimation. Most NLEs do not use this “perfectionist” method, instead they at best simply combine (ghost-blur) successive frames, with no compensation for time/motion. The “NLE-simple” approach may lead to dynamic (changing e.g. moving) scenes and objects appearing flickery. The “perfectionist” approach will instead typically avoid such flicker. This is not the default (oddly). But it is the only proper way to get the expected “perfectionist” reinterlacing to happen! I highlighted in http://blog.davidesp.com/archives/598 (10 months ago) that Adobe Premiere etc. can adulterate media files, in terms of metadata and/or sidecar-files (depending on user-configurations of these applications. I indicated that, regardless of the reasonableness of at least some of these actions, this could potentially cause problems to other applications. …if sharing assets with FCPX and Adobe Premiere, Adobe ‘touches’ (resets the modification date) of each file without doing anything else to it, but also sprinkles sidecar files into directories of transcodable files for metadata, thus sending any returning FCPX activity into a tailspin, requiring a re-linking session. It’s oddities like these which haunt the implementation of FCPX in a wider system and make system managers wonder if FCPX is actually worth implementing in its current state. That was over a year ago, and so the issue may or may not exist for the current version of FCPX. As users, whether or not the actions of one application adhere to standards and another don’t, what we as users ultimately care about is workflow, which in this case translates to “does it connect up with my other tools/processes?”. So we have to maintain a “situational awareness” of potential interoperability pitfalls. Incidentally, I recall that FCPX’s predecessor (in history at least, if not development-line) FCP7 could adulterate source directories with its own sidecar files, produced by its SmoothCam effect. Not knowing anything further for sure, I nevertheless wondered (at that time) what it might be doing “under the hood” of the QuickTime [.mov] wrapper. I installed the new Adobe CC (which I had expected to be called “CS6.5” or “CS7”) suite of video production applications, primarily Premiere and After Effects. However when I opened an existing project in Premiere, it gave error messages about missing effects, expected by that project. Ah yes, “that old chestnut…”. Tried opening the project once more, and yes there were fewer error messages, but one remained: SpiceMASTER. From CS6 folder, copy over the missing files. Yes that seems to have worked: The project now opens with no error messages and the expected effects are now all present in the Effects list in Premiere. LightWorks: Will it Coexist with Adobe & Avid? Can use Mocha either stand-alone and export result as an image-sequence, or in combination with AE in order to export as a movie-file. Put In/Out points over the useful bits (e.g. not overexposed bits). Put playhead in middle of duration, note Frame-Number, then track both forwards and backwards from this point. There is a Stabilize button to preview what it will look like. (in principle, could have more than one tracked region). Remember to disable this button before attempting to track again. If exporting for Registax, then it is sensible to use TIFF format, but it must be with no alpha (otherwise Registax 5 gets its colors weird). Default (not Gaussian), Linear (not Dyadic), most sliders near full. The ability to rearrange the order of video and audio (etc.) tracks in an editing-project in a Non-Linear Editing project. It’s one of those basic things I assumed all NLEs would allow. But not so. Some have workarounds involving the creation of new Sequences and pasting in contents from original Sequences, in which case why haven’t they simply automated that workaround? Bizarre! XDCAM-EX Metadata in Adobe (Premiere etc. ): it works a bit but in my experience I can’t say it’s easy all the way, and it seems that, in the past (2009-2011) at least, others were also finding issues. For example it doesn’t (as far as I can tell) display the camera settings data such as exposure. What’s the matter with metadata? Avid seem to have made a better go at joining it up, and I wonder if this has any connection with their policy of leaving it to the camera manufacturers to produce corresponding media-reading (“AMA”) plugins. If you use any of the programs listed above, you can access an advanced set of features that make it even easier to add customized SmartSound music to your productions. Something to maybe look into, when I get time. But right now I’m focusing on burning some DVDs. So I click the [Later…] button. MBR Color Corrector, by Matt Roberts, is a plugin Effect for Adobe Premiere and After Effects, to automatically color correct movie clips / footage featuring a Gretag MacBeth / X-Rite ColorChecker chart or card in-shot, e.g. at the beginning or end of a scene or take. This provides an alternative to manual (hence subjective and probably iterative) color adjustments in conventional Effects in the editing application (Premiere or After Effects). When applied appropriately, the workflow-result can be improved productivity and quality, with reduced (as opposed to avoided) dependency/demand on Colorist expertise and accurate color monitors etc. It not only handles typical color temperature issues but also, to a useful degree, non-linear luminance and color twisting inherent in certain cameras and lighting conditions. In addition to color correction, MBR Color Corrector can also be used for color matching, e.g. 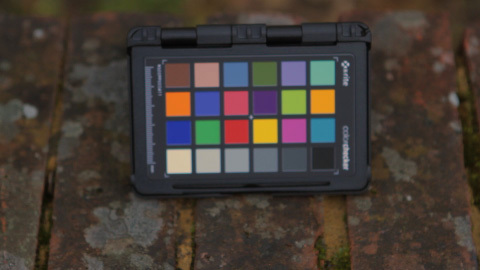 to match a mood, as previously established in an example prepared by a Colorist, provided that example likewise contains some frames featuring a Gretag Macbeth / X-Rite color chart or card. An improved, more intuitive, user interface. Keyframes on everything that effects the output. The free (gratuit) functionality is almost complete (no watermarks etc.) and in my experience has certainly been useful on real projects. The paid version has greater efficiency and functionality, and encourages the developer to keep developing. See the product web-page for more details. See images in corresponding entry in my main blog. Having created my own additional presets for encoding formats on one system, I want to copy them to another. As it happens, these “systems” are the Boot Camp Windows and the Mac OS sides of the same MacBook. So how do I copy them? Each Preset is stored as an [.epr] file. So where are the [.epr] files kept? I’m producing a video of a corporate event celebrating Diwali – the Indian Festival of Lights. I wondered whether anyone had made an Adobe Premiere or After Effects template for Diwali. I tried searching on [Diwali] in Adobe Exchange, but nothing was found. I had Adobe Production Premium CS6 installed, but when in Adobe Premiere I tried to make a Title, there were no Title Templates present. A Google search on [adobe premiere cs6 title templates download] produced the answer, as follows, in the form of a downloadable installer. In addition to Premiere Title templates, the add-on also includes Encore templates. Download and install the functional content for Adobe Premiere Pro and Encore. However the current GPU in my desktop, Geforce 8800 GT, is not recommended for such action, as it has insufficient RAM, namely 0.5GB. This is implied from the fact that the Geforce 9600 GT is specifically “Not recommended” on precisely that basis. The full (paid) version of GoPro-Cineform Neo (as I have) does support alpha channels. Shooting green-screen onto a 4:2:0 chroma-subsampled format, intending of course to use it for chroma-keying. Obvious disadvantage is green-ness of green-screen only gets sampled at quarter-resolution. Not a show-stopper, given my target deliverable is standard definition, but anyhow, towards perfectionism, is there any way to up-sample to 4:4:4 i.e. full definition colour? It does occur to me that something more sophisticated than chroma blur ought to be possible, broadly along the lines of edge-following methods employed in resizing. What’s out there? Simplest method, that most people seem to use, is chroma-blur. That’s only the chroma, not the luma. Searching around, Graham Nattress has analysed the problem and seems to have produced a more mathematical approach. But it’s only available (at time of writing) for Final Cut (which of course is Mac-only at present). Adobe Premiere, but only if a Color Corrector effect employed. But the crucial thing here, regarding the usefulness of this, is whether it uses any better method than chroma blur. Does Adobe have anything built-in to do something Nattress-like nowadays? 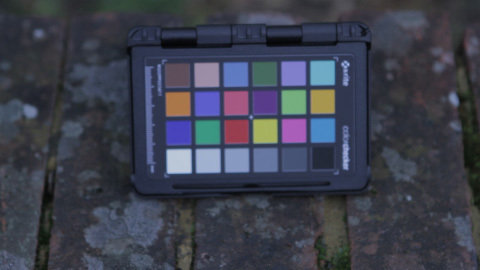 How about an After Effects plugin for automatically grading any footage featuring a Gretag Macbeth color chart in-shot (e.g. at the beginning and/or end of shot)? Matt Roberts’ new plugin, still “steaming off the press”, works in Premiere as well as After Effects, and has been tested in CS5 and CS5.5. You simply pause on a frame featuring a color chart in-shot, place corner locators to identify that chart, and ‘Go”. It not only fixes white balance but also adjusts for saturation and compensates for certain kinds of “color twisting” defects such as can occur in cameras. Subsequent “expert tweaks” can then be made if preferred, e.g. 20% saturation reduction for “film look”. The free version works in 8 bits, the paid (£50) one (in the process of being made available on ShareIt.com) works in 32 bits, multithreaded etc. To find out more and to download it: http://www.mattroberts.org/MBR_Color_Corrector/. So what’s the point of this plugin? Greater quality, reliability and productivity, as compared to traditional color correctors, as explained below. Those with an eye for accurate color reproduction from video footage will be familiar with traditional tools such as 3-way color correctors and meters such as waveform monitors and vectorscopes. All proper Non Linear Editing systems (NLE’s) have these. Generally-speaking such tools work well, but sometimes in practice the situation can become confused when for example a subject’s “white”(assumed) shirt is in fact off-white, or when tinted light mirror-reflects off skin or results from camera filters. Easy to understand in retrospect, but initially can cause “running round in circles” of interative adjustment and re-checking. Furthermore, some cameras have peaks, pits, twists and ambiguities (e.g. infra-red) in their colour response that many such correctors cannot correct in a straightforward manner. Not only can time be wasted but it is quite possible to end up with an image that “looks” right to most people but which in fact has done something inexcusable such as altering the very precise color of a corporate logo. One way to reduce the potential fo such confusion is to incorporate a color chart in shot. Various types exist, including Gretag Macbeth (GM) and Chroma Du Monde (CDM). The GM card, while primarily targeted at photography, is also in widespread use for video. That chart consists of a matrix of colored squares, one row of which represents (steps on) a grey-scale. It also includes some near-primary colours and some approximate skin colours of a few types. The simplest use of such a chart would be to use the grey-scale row for white balancing and the other colours for “by eye” grading/tweaking. The more experienced will probably make use of vectorscopes etc. but that can still be a nuisanceful if not cumbersome process. Enter Matt Roberts’ Automatic Color Corrector. We tried it out on some footage from his own Canon 7D and from my Sony EX3, the latter fitted with a slightly green-tinted infra-red filter, on a snowy day. We even tried it on an image (featuring such a chart, as well as a model with lots of fleshtones) on Canon’s website ?URL? for their C300 camcorder. In all cases, the correction was achieved in seconds. We were particularly confused as to why Canon’s web-image image was so off-colour, but it certainly was, and the Corrector fixed it. I believe this is possible to some extent, using native features of AE. In my earlier post on Adobe Production Premium CS5.5 – Orientation, I noted the existence of Mocha LE, a tracker, included inMocha 2.6, the awesome roto program with a tightly integrated planar tracker. ..and also the tracking data can be exported to a wide variety of programs such as Nuke, After Effects, Combustion and many more for corner pinning, stabilizing, and match move that suite. Real (green screened) rap artist and audients, where the rap artist appears on a virtual a giant stage surrounded by replicated audients. Explains the conceptualization, storyboarding, and high-level aspects (no screenshots) of designing a world capable of representation in After Effects, along with building and testing experiences. How to make a truck out of a single flat surface with cut-out sections and folds. Like you would make one out of a single sheet of cardboard (like a cornflake packet). Links to tutorial and support-files. Similar to the truck, flat sheet (“texture”, obtained from an actual photo, realigned and stretched to remove perspective effect in photo) folded into a 3D building object. Video tutorial and project files are provided. I covered this in an earlier post. If you have After Effect CS5, you have mocha—and it’s often the easiest and best way to do tracking for the purpose of compositing. …. would liked to use similar techniques, especially with the web pages tracking the buildings in city shots. I have tried to use mocha to track the side of a building, but its not proving ideal. Obviously the motion tracker inside AE won’t give me the depth/perspective. So what’s the best way to do this? … Is Syntheyes/Camera tracker the way forward? The general rule of thumb is that Mocha works great if your graphics are ATTACHED to an EXISTING surface (like a logo on the side of a building, or changing the words on a sign). If you’re trying to add something in 3D space (like graphics that “hover” around the building, and seem to actually be there), then you need a 3D solution. Mocha and AE’s internal trackers give you 2D solutions. Mocha’s solutions are a bit more sophisticated, producing corner-point information that mimics 3D, but [this is key] it doesn’t produce a 3D camera. Syntheyes and similar apps will give you an animated 3D camera as well as target points that simulate the world you’re tracking (target points for the ground, buildings, etc — whatever you’ve managed to track and can get a 3D “solution” for). This is A LOT more information than what Mocha or AE’s internal tracking can get you. One other point: when the camera is only panning and tilting (not actually changing it’s own position) then a 2D solution can (sort of) mimick a 3D camera solution. So if all you’re doing is panning and tilting, then you could track that in Mocha, then use that data to animate objects (that are given perspective, for instance). You would be able to achieve a lot of the graphics in the video you linked to using that technique, as they’re using a lot of static cameras. In most of the shots from your example Mocha can be used. I suspect that some of those shots where not really video files, but still images cleverly transformed in a 2.5d comp where camera moves can be animated in AE – so no tracker there. AE forum, includes posts about tracking etc. i was self taught for after effects, as many were before non-linear editing became so affordable that any school could afford to start up a digital media program (even jr. high/middle schools). you might look into an after effects book by chris & trish meyers called ‘creating motion graphics’ (i actually didn’t have that book when i was learning, but i’ve since heard that it’s one of the best for learning ae). lynda.com is good resource too. and, of course, there are lots of ae tutorials here at the (creative) cow. aharon rabinowitz has many geared towards the fundamentals of ae. look into some of his workflow tuts and other earlier ones where he covers some basic essentials. What tools are available for this? What are their relative merits / costs (in all senses)? First I tried Boris RED but encountered issues. MVTools2-based scripts; the latter was the more complex but for me it worked best. Next I looked at MotionPerfect, which I purchased years ago from Dynapel back in Standard Definition days. That shows a different icon/logo to the Dynapel version of that same product. It works the same as far as I can see. Some people claim this is the fastest motion-estimation-based method. e.g. locate the (years-old) Avid velocity / warp envelope demo featuring a surfer ??? For viewing the license conditions, it offers language choices including [English (North America)] and [English (International)]. It’s not clear what the difference is. I wish it showed some examples in each. To add to the confusion, I think the difference is in the default dictionaries and the spellings in the interface, i.e. it presumes you want British-style spelling (as you have), and has nothing to do with licensing. I have no clue how to change that election other than to re-install. If you can live with the funny spelling in the menus, you can set the default dictionary to US English in InDesign, and probably other apps. Serial Number or else check the Trial button. Next it began calculating the total time for install and began installing. After a few minutes it returned its time estimate as around half an hour. This (initial conservative estimate?) rapidly dropped to around 20 minutes. Finally it displayed what looks like a Launcher window for the Production Premium suite, withbuttons labelled akin to Periodic Table elements, except that one of them [Ps] (PhotoShop) appeared twice, identically labelled. That application was installed yesterday, as part of DaVinci Resolve Lite for Windows. ?? Europe, …, Middle-East, Africa ?? Response screen said: <<By providing an Adobe ID, you have set up access to Adobe CS Live Services during your trial period. It also indicated it had sent email verification. Thank you for providing your Adobe ID and downloading your Adobe Creative Suite® software trial. During your software trial, you will have access to CS Live services that further extend the capabilities of your Adobe Creative Suite software. Accessed from within your software, CS Live services enable you to accelerate creative reviews, streamline cross-browser testing, and easily host online meetings. Your complimentary CS Live services subscription will expire with your product trial. Strange that this was sent after the email containing Personal Meeting Room address etc. Premiere prompted for [New Project] etc. The Help panel, once populated (after a minute or so), included a [Getting Started and Tutorials] link. Given my poor experiences on my [MacBook Pro (2009) > Boot Camp > Windows 7] with Boris Blue and with DaVinci Resolve, it is by no means certain that [Adobe CS5.5 Production Premium] will fare any better. But it’s worth a try. The download is apparently 7.116 GB, estimated download time between 5 and 8 hours. Overnight in other words. I bought a discount copy of Adobe CS5.5 Production Premium, because (after much discussion with others) its feature-set seems to match my typical and forseeable production requirements more than those of other NLEs, including my current mainstay, Sony Vegas 9 (which I am still trying to wean myself off, but when any proper job comes along, I tend to fall back on the familiar and trusted, for low risk including avoidance of learning-delay). Being (so far) a one-man-band who is traditional Windows user, I purchased the Windows version. But, confirming what I had heard, it does seem that most media people I have met use Macs. So should I have purchased the Mac version? Are the versions exactly the same or have they different functionalities? Is there an option for the license to cover installing the same product on both Windows and Mac OS provided only one of them is run at a time? (e.g. when on the same physical machine). Ideally at zero or negligible cost of course. For example Avid Media Composer does have this flexibility. While the uncertainty remains, I will not open the box (in case it turns out that I need to exchange it). It appears that for CS5.5 Production Premium (at least), the Windows variant has slightly greater functionality. However it remains to be seen what will be the case for CS6, when it becomes available. Intended not only for businesses but also for individuals. If the “volume”is for two licenses, they can be for each of the OS’s. But as far as I can tell it’s intended only for one-off (or infrequent) crossgrades, requiring “destruction of the software” on the old machine each time. Shame it isn’t simply happy with repeatable deactivation/reactivation on each machine / OS. “Airport runway and buildings against mountains and sky”. Avid After Effects EMP is an Avid-supplied plugin for Adobe After Effects allowing that application to use a DNA family video output box such as Mojo or Nitris to provide External Monitor Preview (EMP) on a monitor. Helpful in order to make use of that Avid box for the Adobe After Effects application, both for convenience and consistency. Unfortunately it does notwork with the more recent DX family, such as the Mojo DX box. You are currently browsing the archives for the After Effects category.